Marietta Elementary School boasts some of the finest educators in the state. Our faculty and staff dedicate themselves to the well-being of every student, every day. Take a moment to get to know us better! Hello, my name is Heather Mcmahon (Ms. Mac). Children are my passion, and I feel very fortunate to have a career that I truly love. I enjoy welcoming students to school each morning, supporting them throughout the day, and teaching life skills during guidance classes. As a counselor, my goals are to guide and counsel students toward academic and personal success as well as to assist them in developing coping skills to handle life's many challenges. As a team member, I work with all our staff to support each child's individual needs. I have been teaching for eighteen years; five of those years coaching basketball and track. I have two children, Carson and Courtlyn, who are third generation Marietta Indians. My hobbies include watching Oklahoma State University sports, spending time with friends and family, and raising show pigs. Ms. Sifford teaches kindergarten at Marietta Elementary School. She earned her high school diploma in 2001 and went on to earn a bachelor's in business administration and marketing in 2005. In 2010, she completed her certification in elementary education and her Texas Educators Certificate. She completed her Oklahoma Educators Certificate in 2011. Hello, my name is MeAnnda Beyers, and I am excited to be part of the Marietta Indians. I am a 2010 graduate of Wright City High School in Wright City, OK. Upon the completion of high school, I attended college at Carl Albert State College (CASC) in Poteau, OK where I obtained an associate’s degree in pre-medicinal studies. After my time at CASC, I transferred to Southeastern Oklahoma State University (SOSU) in Durant, OK. I completed one year of pre-medicinal studies at SOSU before I decided it was not the field for me to continue studying, and I decided to seek out a more suitable field of study. My peers and teachers in high school had always told me I should be a school teacher after graduation because of the different ways I could explain things, so my classmates could better understand the materials in class. Making the switch from pre-medicine to elementary education was one of the best decisions of my life, and I enjoyed every minute of my learning experiences. I graduated from SOSU in May of 2016 with a bachelor’s degree in elementary education. Due to marriage and having a child, I did not begin my teaching career until 2018. I am looking forward to many more years of teaching. During my time as a student ambassador at CASC, I participated in an after-school tutoring program with elementary school students once a week. In addition, I worked as a tutor in the student resource center for ten hours each week. I was an active member of the Baptist Collegiate Ministries (BCM) and met the man I would one day call my husband on a joint mission trip with the BCM of Murray State College (MSC) in Tishomingo, OK in March of 2011. Edward and I became a couple on April 19, 2011. I made him promise that if he was going to stick with me for the journey of life and marry me some day, then he would have to wait for me to graduate and receive a bachelor’s degree. When we had graduated from our respective junior colleges, we both transferred to SOSU. While I was attending SOSU, I worked at Believers Child Development Center, a childcare facility in Durant. Over the course of three years and five months, I became a master teacher and gained experience working mostly with after-school aged children. As a teacher in the childcare setting, I attended several professional development conferences and learned strategies about how to be an effective teacher, both in the childcare setting and in the public-school system as well. No matter what I did, Edward was always there to support me in everything. He proposed to me in December of 2015. During my student teaching in the spring of 2016, when I was not working in the classroom or preparing my lessons, I was busy planning our wedding. Edward and I married on July 9, 2016, and our son James was born on November 14, 2017. I enjoy being a teacher, and I look forward to meeting new students and parents each year. It is such a joy and blessing to make an impact on the lives of students every day. A favorite quote of mine by A. A. Milne, which I first heard on an episode of Winnie the Pooh, states, “You are braver than you believe, and stronger than you seem, and smarter than you think.” This quote encourages me to believe I am capable of more than I may think and to strive to do better in everything I do, even if I feel as if I have already given my best effort. I encourage my students to always give their best effort in everything they do because I believe they can accomplish anything they desire as long as they believe in themselves, just as I believe in them. If you would like to learn anything else about me, please feel free to contact me at any time. My family and I moved from Colorado to Marietta in 2001. I have been a resident of Marietta for thirteen years, so to me, Marietta is home. I graduated from Marietta High School in 2007 and then went on to earn an associates degree from Murray State College and a bachelor's degree from Southeastern Oklahoma State University. I've been teaching at Marietta Elementary School for two years. Go Indians! In my spare time, I volunteer as a firefighter with the Shady Dale Volunteer Fire Department. I have three god children (Holley, Hagen, and Tessa) who are my whole world, and I love to spoil them as much as I can. I have no children of my own, so that is quite often! I've always known that I was meant to be a teacher, and I am so blessed to be doing something that I love every day. I have only been teaching for two years, so every day is a new experience! Each student in my class becomes a permanent part of my heart, and I can honestly say that I love each and every one of them. I always strive to do and be my best for my students, and in return, I expect the same from them. I have been married to my husband Jacob since 2011. We have two daughters, Chelsie and Abbie. We live in Gainesville, Texas. 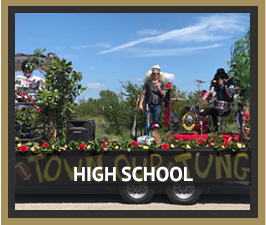 I graduated from Whitesboro High School in Whitesboro, Texas and then went on to get my bachelor’s degree from Southeastern Oklahoma State University in 2013. I have been teaching 3rd grade since 2013! My favorite subject to teach is writing. I believe that a child can be the most successful when they have the support from their family, teachers, friends, and peers. My favorite quote related to teaching is “I call my students ‘My Kids’ because in our year together they are not just kids on my class list, they become a part of my heart.” – Author unknown. Ms. Cummings earned a bachelor of science degree in early childhood education from Oklahoma City University in 1997. Before coming to Marietta, she taught kindergarten at Dickson Elementary, kindergarten at Alcott Elementary, and reading at Take 2 Academy. She has been teaching kindergarten at Marietta Elementary School since 2000. My name is Jennie Davis, and I am so excited to be a 5th-grade teacher here at Marietta Elementary! I was born and raised here in Marietta, and I graduated from Marietta High School. Mr. Davis and I got married and spent several years living in California while he served in the Marine Corps. We lived in Lewisville, Texas and San Jose, California before moving back here to Marietta and settling down. We have one daughter, Gabi, and a dog named Allie. I have a bachelor’s degree in elementary education from Texas Woman’s University in Denton, Texas, and I am currently certified to teach English as a second language. I worked as a paraprofessional in a behavior intervention classroom in Lewisville Independent School District before I became a certified teacher. I did not always want to be a teacher! My mother is a teacher, so I grew up knowing about all of the difficulties associated with being a teacher. I said I would never want to be a teacher, but after volunteering in a classroom while I was in college, I could not get enough of it! Now I can’t imagine doing anything else with my life. My goal as a teacher is to help every child recognize their unique path in life and to help them to learn skills that they need to be successful, both socially and academically. I try to teach every day according to this quote by Nelson Mandela, "Education is the most powerful weapon you can use to change the world!" I'm Kassie Drain. Tthis is my second year as a fifth grade teacher at Marietta Elementary. My husband, Steven, and I have been married for six years, and we have one son, Wyatt. I first graduated from Murray State College in 2010 then from SOSU in 2012. This year I teach two sections of math and a section of reading. I am a 2000 graduate of Marietta High School. I attended Murray State College for two years where I played collegiate softball. I then transferred to Southeastern Oklahoma State University where I majored in physical education. I graduated with a bachelor's degree in physical education with an elementary education endorsement. I did my student teaching at Calera Public Schools. There, I taught physical education to first through sixth grade students. I was also the junior high and high school assistant girls basketball, fast pitch, and slow pitch softball coach. In 2005, I substituted for one year. I joined Marietta Public Schools in 2006 as a fifth grade teacher and have been here ever since. I began coaching junior high slow pitch softball in 2010. In 2011, I was the assistant coach for the high school fast pitch softball team. I have been the head junior high fast pitch and slow pitch softball coach for the last two years. I enjoy teaching young minds the game. It is a blast getting to watch these kids improve and become ball players. I have also been the gifted and talented coordinator for six years. Personally, I have been married for eight years. I have a fourteen year old stepson, a five year old little girl, a three year old little girl, and a six month old little girl. I am a big sports fanatic. I love O.S.U. and the Texas Rangers. I enjoy reading, hunting, fishing, and ranching. I am the family readiness coordinator for the 45th IBCT, Alpha Troop 1 180th. I enjoy volunteering hours to serve the soldiers who serve our country. I am very active in my church, the Bethlehem Primitive Baptist Church in Purcell, OK. I graduated from OSU in 1992 with a bachelor's in education. I have taught third grade, first grade, kindergarten, and fourth grade since 1992. Hello! My name is Tami Lewis. I was born and raised in Ardmore, Oklahoma. I attended Plainview Public School, graduating in 1994. I have been married to Rick Lewis for ten years, and we currently live in Ardmore. He is a retired firefighter and current equipment operator. We have a daughter, Sierra, who just turned twenty and lives in Marietta. I enjoy reading, watching football, and taking road trips with my awesome husband! After seven years in the home health field, I returned to college and completed my teaching degree at Southeastern Oklahoma State University in 2004. Before coming to Marietta Elementary, I taught at Lincoln Elementary, Hickory Creek Child Center, and Mannsville Schools. I truly love being a teacher, helping little minds develop to their full potential! I am from Marietta, Oklahoma, and I have lived here all my life. In 2001, I earned my bachelor's degree in elementary education from Southeastern Oklahoma State University. I spent one year teaching kindergarten, and the last twelve years have been as a pre kindergarten teacher. I am married to Gregg McGehee, who is also from Marietta. We have four children: Garrett is a college freshman, Briggom is a high school junior, Caleb is an 8th grader, and Claire is a pre kindergartner. We love to be outdoors as a family. Hunting, traveling, and playing sports are favorites of ours. Regina McGill graduated from Marietta High School, and went on to pursue her dream of teaching by obtaining a BA from Southeastern Oklahoma State University. She later earned her master’s degree as a reading specialist from East Central University. Mrs. McGill and her husband Chuck, have five children. Britney, Brett and Brooklyn Willis, and Madison and Gentry McGill. All five are graduates of Marietta schools. I received an associate's degree in general studies from Murray State College and then went on to earn a bachelor of science degree in elementary education from Southeastern Oklahoma State University. I love being a teacher, and I am so fortunate to be doing something I love every day. I truly believe all children can learn, and with the right environment/influences, all can flourish as well. I have three wonderful children: Amanda, 25; D.J., 23; and Cody, 19. I recently lost my husband of 27 years. We've lived in the Marietta area for sixteen years, and all of my kids are Marietta alumni. My hobbies are reading, camping, and working on D.I.Y. and home improvement projects. Ms. Sanders earned her bachelor of science degree at St. Joseph College in Renssealer, Indiana. Before coming to Marietta, she spent five years teaching in Corsicana, Texas. She started teaching at Marietta Elementary in 2007 in the kindergarten classroom and then spent three years teaching first grade. She presently teaches second grade. Stacy Scarbrough married her high school sweetheart, Jeffrey Scarbrough. They have three kids, two of whom attend Marietta school. 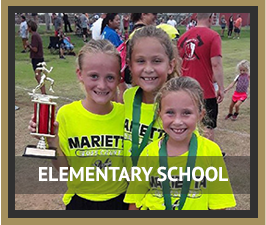 Their children, Cade and Chloe, are actively involved in their education at Marietta as well as various sports. Mrs. Scarbrough obtained her teaching degree from Southeastern Oklahoma State University, where she graduated in the top 10% of her class with Alpha Chi honors. She began teaching in Texas in 2004. 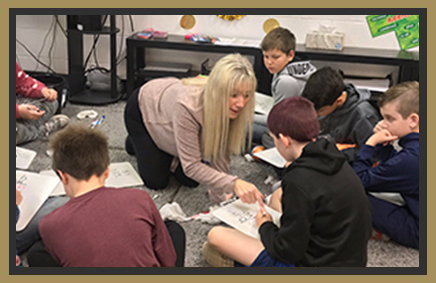 Mrs. Scarbrough likes to teach all subjects equally, but most enjoys helping kids find their own potential while instilling a love for learning of all subject matters. She believes that an open line of communication with parents and providing a safe inviting classroom environment contributes to students’ learning. 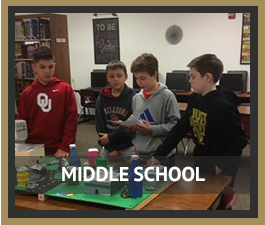 Beyond helping students be successful with the proper curriculum, Mrs. Scarbrough hopes to instill positive morals while increasing students’ self-esteem.